The Northwest Samar State University (NwSSU) congratulates the 15 fellows who made it to the 7th Lamiraw Regional Creative Writing Workshop (LRCWW) which will be held on November 9-12, 2010 in Calbayog City, Samar. Fellows will get free board and lodging, and travel allowance. 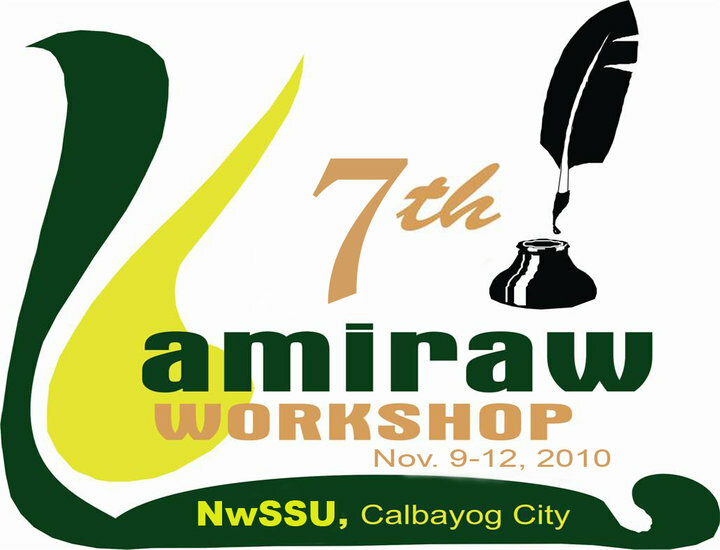 Their works will also get the chance to be selected in the proposed book project of Lamiraw which will feature the best poems written in the last seven (7) years of the workshop. Prof. Merlie Alunan and Dr. Leoncio Deriada, professors emeritus of UP Visayas; Dr. Victor Sugbo of UP Tacloban; Dr. David Genotiva of Eastern Visayas State University; Prof. Antonino de Veyra of UP Mindanao; Mr. Voltaire Oyzon of Leyte Normal University; Mr. Dante Rosales of Ibabao Arts Council of Calbayog; and Mr. Harold Mercurio of Northwest Samar State University. This workshop is sponsored by the National Commission for Culture and the Arts (NCCA).